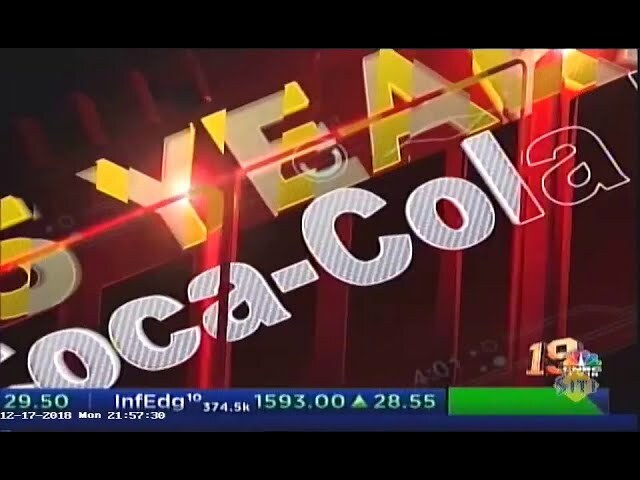 What a wonderful milestone for us – the silver jubilee of Coca-Cola in India! I feel so blessed to have been a part of the journey from the very start. In my 25 years at Coke, I had the honour and privilege of working with the first 7 BU Presidents and watching the company grow to where we are today! I was lucky to have worked and get clicked with some legendary leaders of the company to add to my personal memories. It was 1992 when Coke began preparations to reenter India. Back then, we operated out of 3 rooms at the Diners Business Center in Bombay. Jaydev Raja, the then President, had one room and the other four of us operated from the other two. We shared a space so tight that I had to get up from my chair every time someone had to use the photocopy machine. Not long after, as operations kicked off, we moved to the World Trade Center, at Cuff Parade in Mumbai. Our first big milestone was the re-launch in Agra in October 1993. So many wonderful memories!! Our Agra launch was a family affair and we took our spouses and kids along. We decided to do a market parade with our families and our bottler sales staff, sampling free product along the way, to demonstrate to the retail trade how happy we were to be back in India with their support. It was a colourful cavalcade, marching down the streets of Agra, alongside our open bay trucks and our trademarked tricycles with the moulded ice boxes. A colleague once described our company as this ‘magnificent United Nations of positivity and grit surrounded by superb professionals who generously offer their friendship & support in all parts of the world’. That is so true. When you work for a company like Coca-Cola you have family in the 200+ countries we are present in – any help needed you just have to reach out. I remember a colleague’s young niece fell sick while touring India and couldn’t leave as planned and then realised her visa had expired. A quick call to us and we worked with the authorities to have her visa extended. The girl stayed at my home until she was able to leave safe and happy. Another colleague’s parents were touring India and her father had a fall, fractured his leg and had to be operated on. This can be quite intimidating to an older couple away from home. No problem, that’s what family is for!! Our team went to the hotel and was there to help them through the hospital admission procedures and surgery and then see them off at the airport back to the US. Likewise when any of us needed help anywhere in the world, we just had to reach out to the Coke family there!! My Coca-Cola diary is filled with remarkable chapters: hard work, fun stories and the occasional tough times. In short, it was filled with life. I will always be the biggest supporter of the Company, its brands and its people. I consider myself very lucky to have been part of the Journey of Coca-Cola in India. Coke is truly about sharing happiness! The one thing I missed is having a picture with Roberto Goizueta, Chairman of the company in the early 1990s. With several of the other leaders the pictures are part of my proud collection. My cherished memories!